WARSAW, Poland (ChurchMilitant.com) – Europe has apostatized and “is now plunging into nihilism,” warns Cardinal Robert Sarah. Speaking at the Europa Christi Congress in Poland Sunday, the prefect of the Congregation for Divine Worship and the Discipline of the Sacraments lamented that Europe’s abandonment of the Faith is fueling the worldwide attack on the family. Cardinal Sarah observed that the 1989 collapse of Communism seemed to herald a new dawn for Europe, as more than a dozen nations reclaimed their freedom. But, he noted, Europe chose not to return to the Christian roots of its civilization. Instead, it began to build the institutions of the fledgling European Union on abstractions like “the free market, equality of individuals and individualist human rights.” Its values sprang not from God but from man himself. The cardinal underscored that Europe’s falling away is not unfolding in isolation. Its impact is being felt globally. “Europe’s spiritual crisis has led to a serious anthropological crisis,” he warned, which manifests most visibly in the accelerating attack on the family. 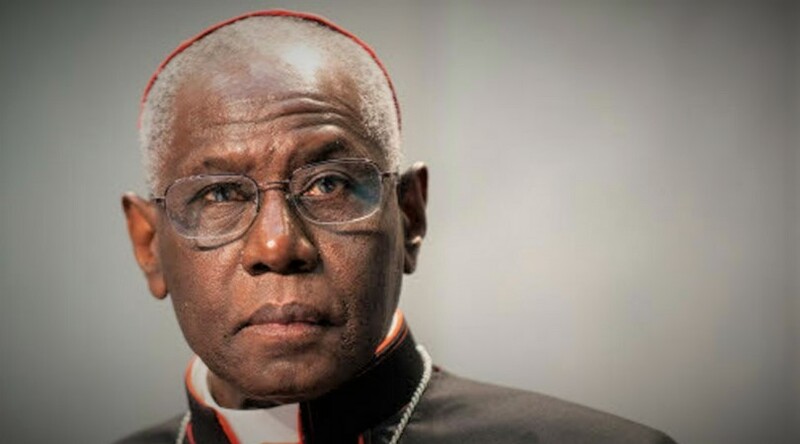 “Under the guise of fighting discrimination, some want to obliterate the difference between family and homosexual relationships, promoting very diverse models that are not based on a stable relationship between a man and a woman,” Cardinal Sarah noted. Homosexualist and gender ideology afflict not just Europe, Sarah rightly observed, but the West as a whole and beyond. The West, he explained, “Is undergoing a crisis, organizing a rebellion against God.” And, unsatisfied with re-engineering their own societies, he said Western secularists are targeting traditional family structures in Africa and Asia. But the Western secularist “ideology of gender” distorts the true vision of the family, Cdl. Sarah said. Efforts to impose these godless sexual norms on the developing world, the Church’s chief liturgist suggested, is a new form of colonialism. By dictating gender ideology, the West is reducing Africa and Asia to ideological colonies. While pointing to Europe as the epicenter and source of the crisis, Cardinal Sarah suggested that one corner of the continent may be called on to turn back the present darkness. Interesting statement by the Cardinal. It would have been nice if he would have called on all people of faith to stand together in defense of commonly held morals and values. The neo-colonialist nihilistic ideologies are a threat to all traditional faiths and cultures. I wish he would have been more inclusive in his statements rather than just Christian-centric as if only the Christians are threatened and only they can offer the solution (especially when the problem emanates from the old Christian west). I don’t think Christianity will be able to offer a workable solution to the new “atheistic messianism” since the problem originally arose and was allowed to fester because Christianity sold out on its morals and values in order to appease western secularism. Now Christians are realizing the extent of the problem, and act as if a lawless, pliant and malleable Christianity had nothing to do with the rise of these false ideologies in the first place. In addition Christians in the West and Europe in particular who have seen Christianity torn down by NT Historical Criticism are not easily going to return to a faith which they now see as a complete and utter falsehood. So any call for people to return to Christianity will fall upon deaf ears in Europe. Christianity, even when it means well, lacks the wherewithall to withstand secular liberalism.